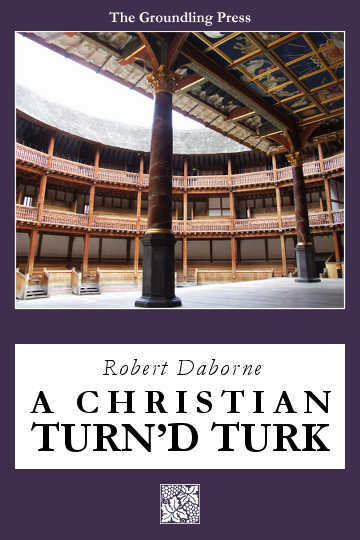 A Christian Turn’d Turk is one of only two surviving plays by dramatist turned clergyman Richard Daborne. The play is based on anonymously printed pamphlets describing the life of actual seventeenth-century pirate Jack Ward. In Daborne’s day, “Turk” was the term used for any Muslim, and the center of the plot is Ward’s conversion to Islam, based again on true events—although Daborne’s version is twisted to suit his audience’s anti-Muslim and anti-Semitic prejudices. The first and only known early edition. Appears to have been prepared from Daborne’s papers or another unreliable source.